One of our favorite charter yachts that we've mentioned many times in this blog, the 65-foot trimaran Promenade, is offering an exceptional "by the cabin" trip which starts in St Martin, visits St Barths and possibly other nearby French islands, Anguilla, and an overnight sail back to the Virgin Islands. 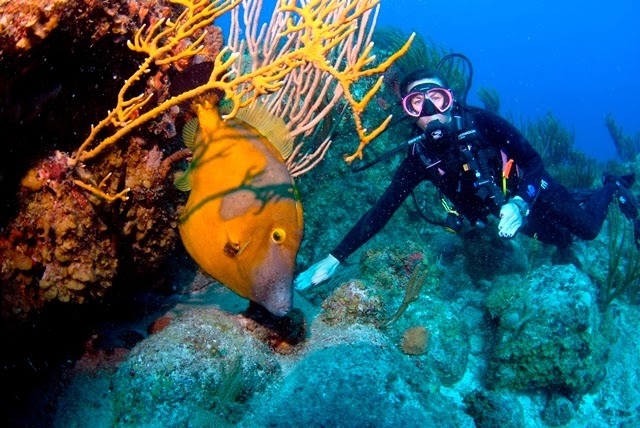 Only $4000/cabin ($2000/person, double occupancy) for a 9-10 night, all-inclusive charter which includes one dive/day for certified divers. Anything you choose to purchase on land. Might be a great time to pick up some french wines to bring back to the Virgin Islands and fly home with you! 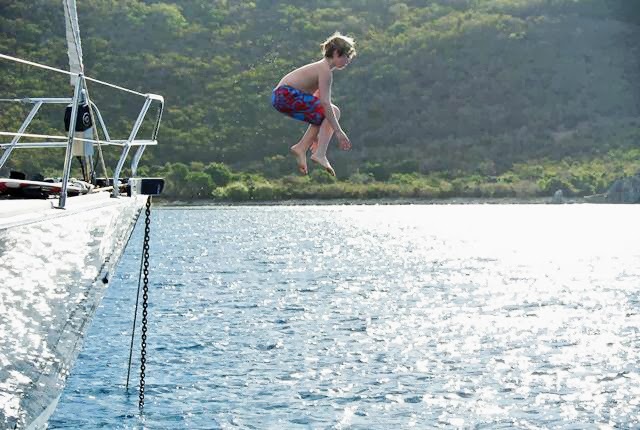 The charter officially begins on May 27th in St Martin (airport code SXM) but guests are welcome to take advantage of the free sleepaboard on the night of May 26th (dinner ashore) so everyone can be ready for a morning departure the next day. 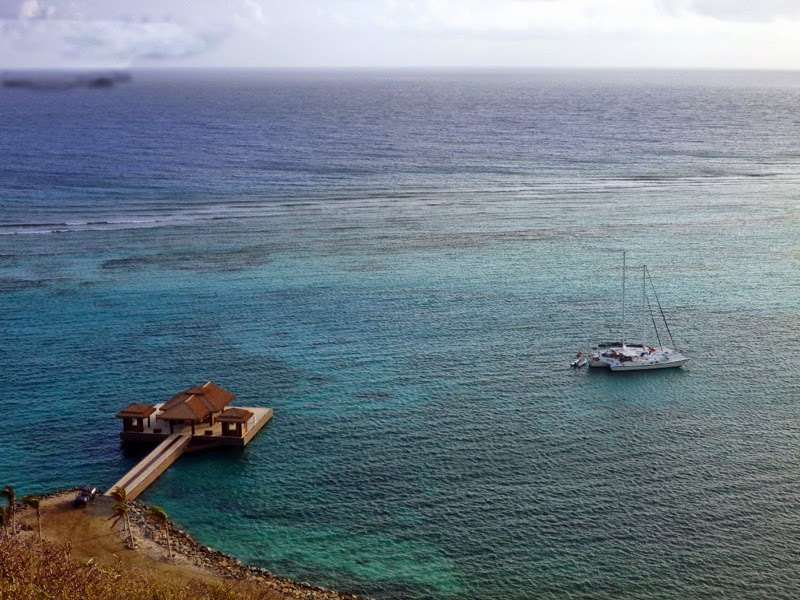 The preliminary itinerary includes cruising St Martin, Tintamarre, Ile Fourche, St Barths, and whatever else catches their fancy, Anguilla, with a stop to dive in Sombrero (weather permitting), Anegada, and onwards through the Virgin Islands where guests can be dropped off either in the BVIs or the USVIs on June 5, 2015. There will be an overnight sail. It is a casual charter with full crew, but the guests are encouraged to participate and get the full experience of doing overnight passages. It will be fun! Kerry will be hosting this trip along with her Kitty Kat Stella. 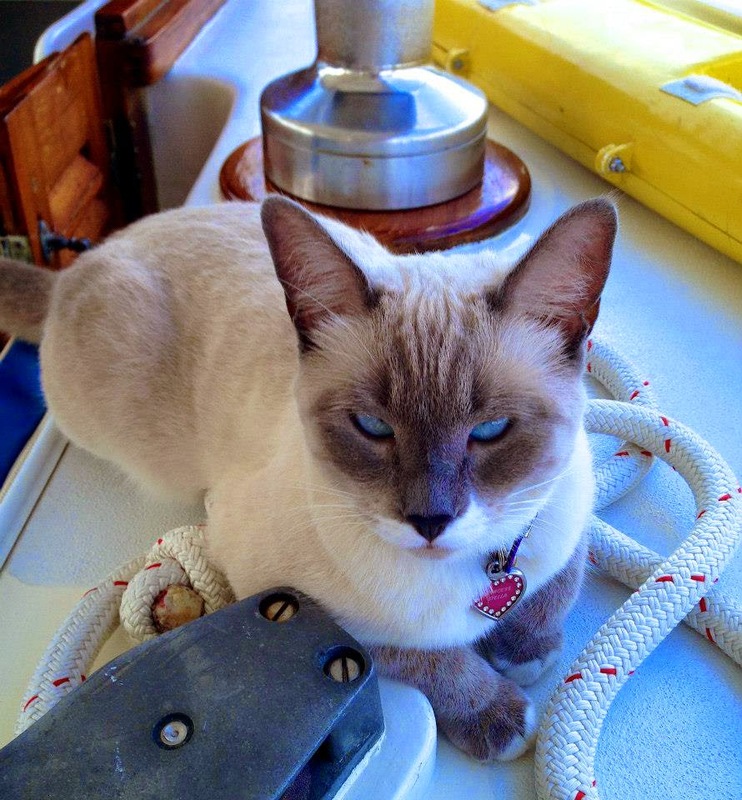 She is a wonderful kitty and much loved by charter guests. 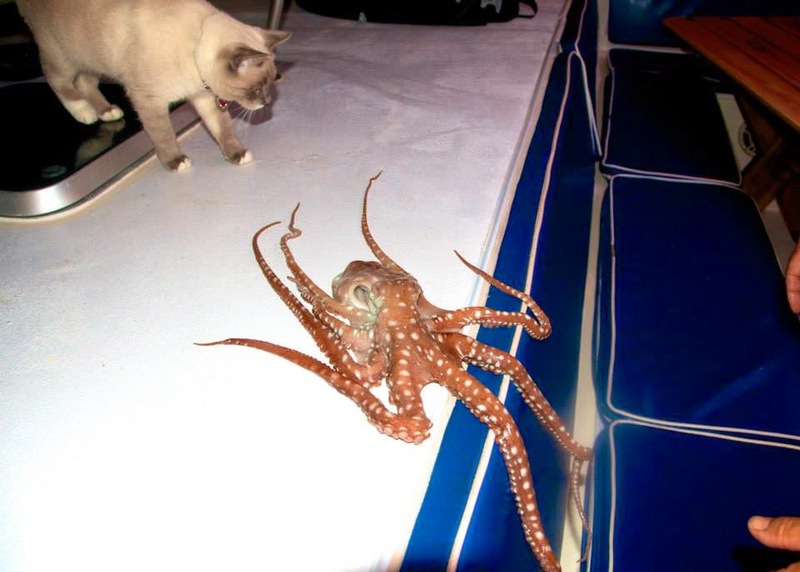 Just want to let you know she will be aboard Promenade for this trip in case you have issues with cats or are allergic, although she is kept out of the guest cabins. 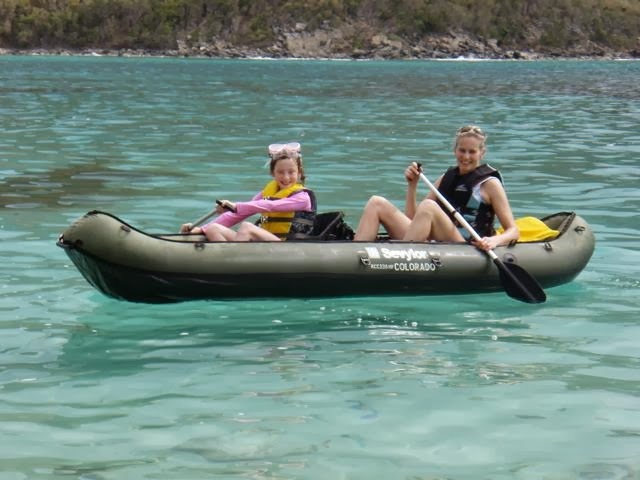 Promenade has a 15-foot dinghy with 50HP motor, waterskis, kneeboard, wakeboard, tube, 2-person kayak, paddleboard on request, 4 water individual power loungers, snorkel gear, fishing equipment (has commercial BVI fishing license), TV/DVD, iPod dock, wifi, and much more! Contact Paradise Connections ASAP to book a cabin... or two! 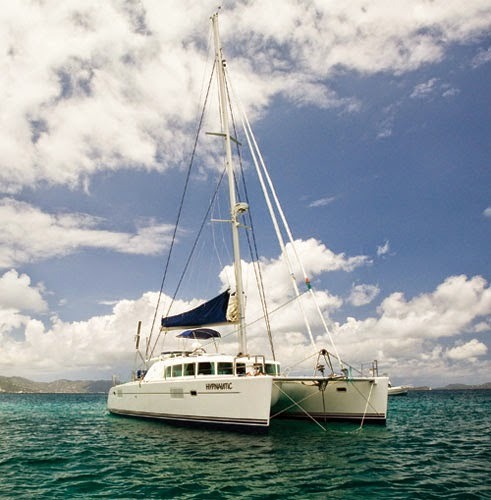 The charter catamaran Hypnautic is a beautiful 44-foot Lagoon catamaran owner’s model featuring a guest suite that takes up the entire starboard hull... perfect for couples seeking a private, romantic vacation. 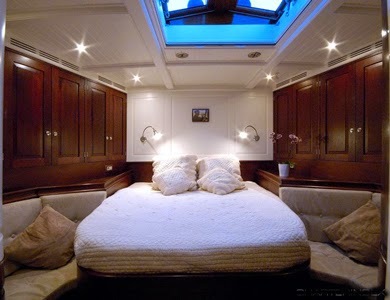 The port side accommodates 4 guests in 2 Queen cabins, each with en suite heads. 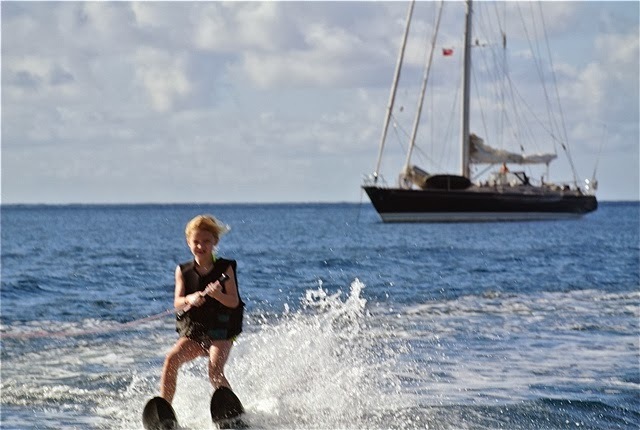 SPECIAL OFFER: $1500 off for all new charter bookings taking place between now and July 22, 2015. We hope you will be able to take advantage of this special offer and come sailing aboard Hypnautic. 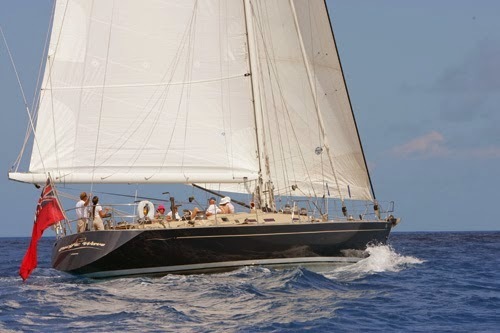 The charter yacht Emily Morgan, a 57-foot Bowman ketch, still has a couple of berths available for a Trans-Atlantic trip. Emily Morgan will be departing Antigua on 7th May 2015 bound for the UK via the Azores. The complete passage of about 3850 miles is expected to take between 23-27 days. EMILY MORGAN still has a couple of berths available for their 2015 eastbound Transatlantic passage. This is a great opportunity to cross the Atlantic ocean. Build your sea miles and experience with unforgettable ocean sailing at its best! 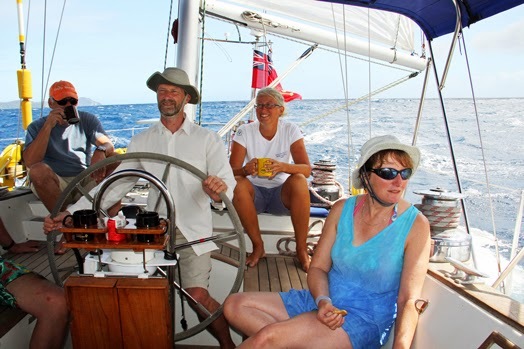 Use this trip as a qualifying passage for your RYA Ocean Yachtmaster exam, learn to use a sextant and gain experience of extended cruising or just enjoy the adventure. Emily Morgan has crossed the Atlantic many times and, as an MCA category zero yacht, is fully equipped for a safe crossing. 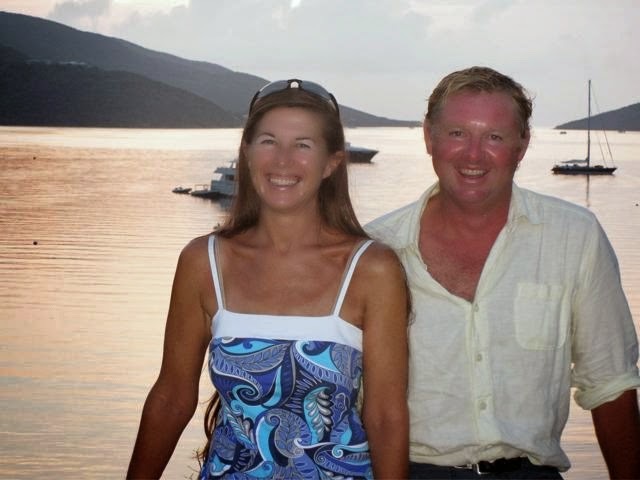 You will be looked after by owners and hosts Anna and Bones Black, both experienced sailors with thousands of sea miles under their belts. Guests will be expected to be involved fully with sailing the boat including watch keeping, steering, sail changes, cooking and some general maintenance. Emily Morgan will start in Antigua at the historic Nelson’s Dockyard, a unique piece of maritime history and set sail for Horta in the Azores. The exact route will depend on prevailing weather conditions to ensure the best sail across the Atlantic but this first leg will be approximately 2600 nautical miles, taking 15 to 17 days. Then you will stop in Horta for a few days giving enough time to explore this lovely island. After the stopover in the Azores, head northeast for the second leg of the voyage. Again, taking weather conditions into account, it is approximately 1250 nautical miles and will take about 8 to 10 days. 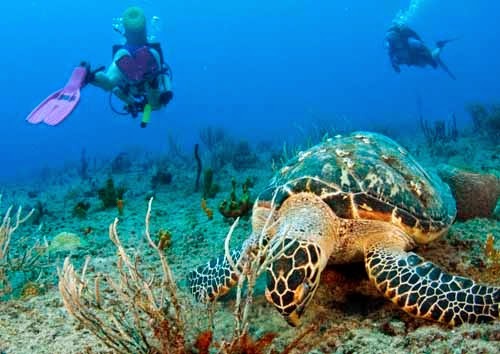 PRICE: The cost of the whole trip joining in Antigua on 7th May 2015 is £2,400 (approximately US$3590, check here). 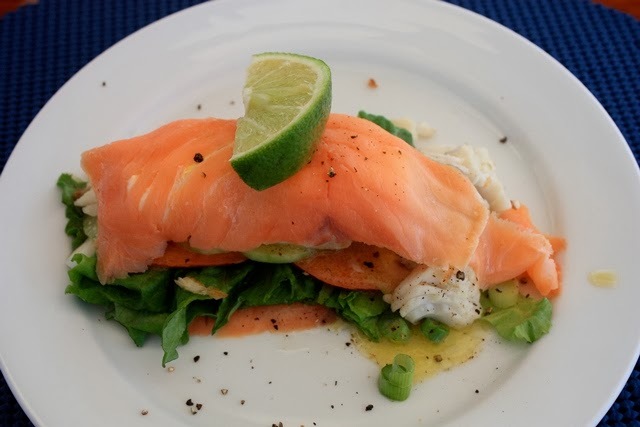 This price includes captain & 1st mate, all food and soft drinks whilst at sea, and all running costs of the boat. It excludes personal travel/medical insurance (a requirement for all guests), flights and local taxes. It is preferred that guests commit to the complete passage of 3850 miles over 23-27 days but they will consider breaking the trip down into the two legs: Antigua-Azores, Azores-UK. 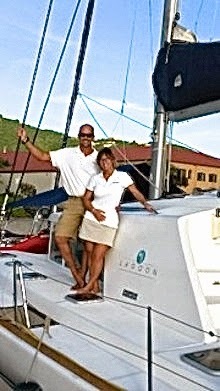 Sign up to fulfill your dream of sailing an ocean passage! 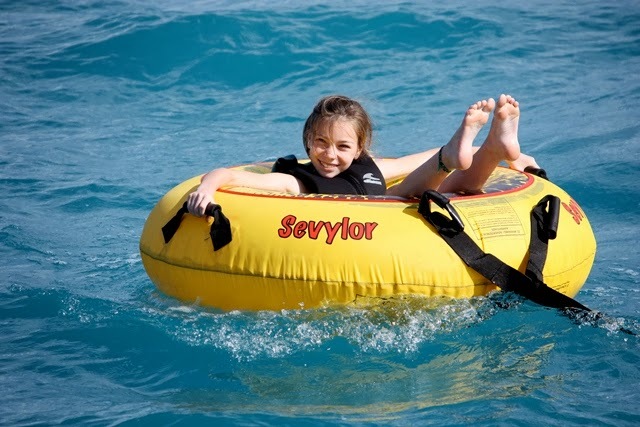 Save over $5000 on a half-board, crewed yacht charter aboard Pacific Wave this Spring. This offer is for up to 4 guests using 2 cabins (aft Master Suite & 1 Twin guest cabin). 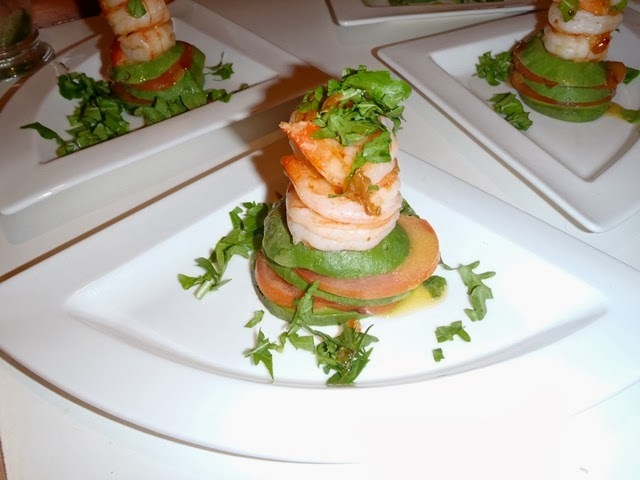 Includes: 7 breakfasts, 4 lunches & 3 dinners, snacks, hors d'oeuvres, and standard ship's bar aboard Pacific Wave, plus BVI taxes and USVI pickups & drop-offs. Not included: Meals taken ashore and on-board diving. 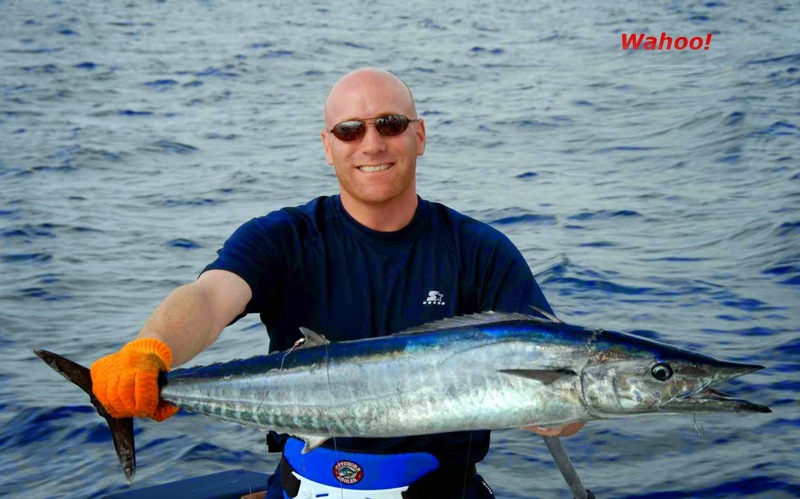 Pacific Wave will be happy to arrange rendezvous diving with a local dive operator for you. 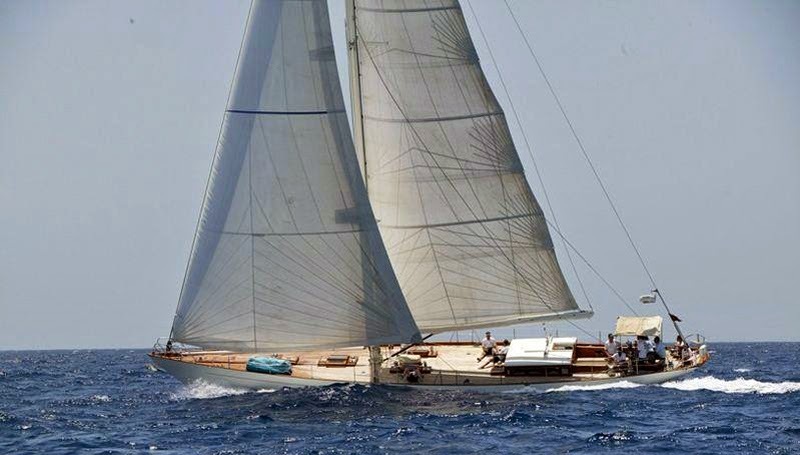 Pacific Wave is a stylish Italian-designed 72-foot sloop with an owner-operator crew of two. The yacht is fully air conditioned and accommodates up to 6 guests in three cabins all with ensuite head/shower. 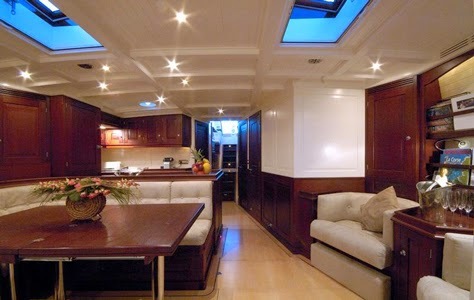 The master cabin, aft, has 2 double berths, while the other two guest cabins each have a set of twin, upper/lower bunks. 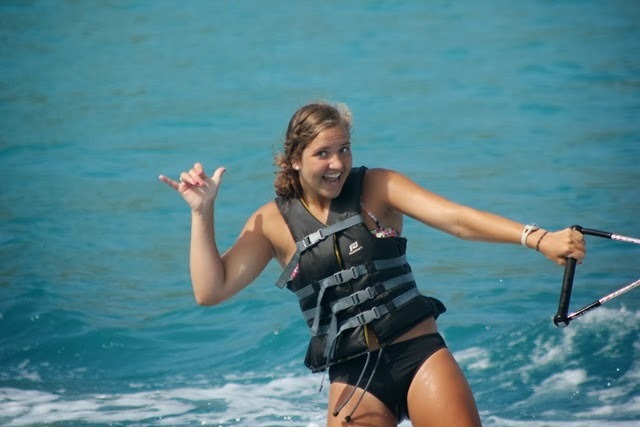 Pacific Wave has a 15-foot dinghy with 70HP 4-stroke motor, adult & junior waterskis, tube, wakeboard, 2-person kayak, snorkel equipment, fishing gear, hammock, large screen TV/DVD in salon, 4G WiFi available at cost, iPod dock, etc. 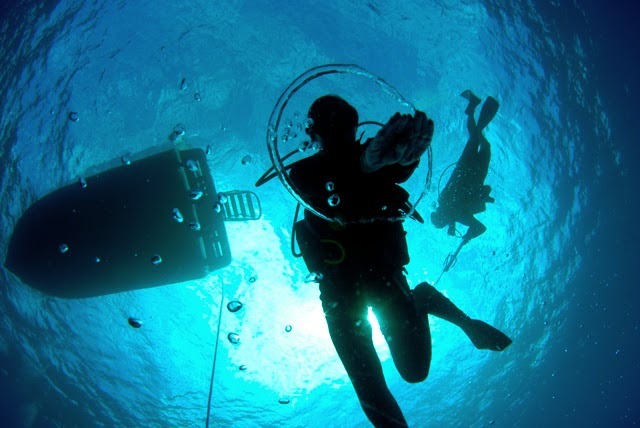 Both Lynn and Mark are Padi Dive Masters. 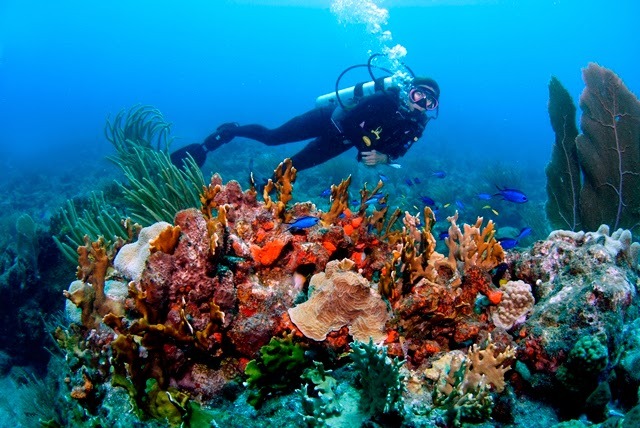 Diving for certified divers in the Virgin Islands is included in the full-board, all-inclusive charter fee. Rent or bring your own gear. Air fills are $10/tank. "Lynn & Mark, Very seldom do things go exactly as planned, almost never do things exceed expectations.... this week was one of those times. 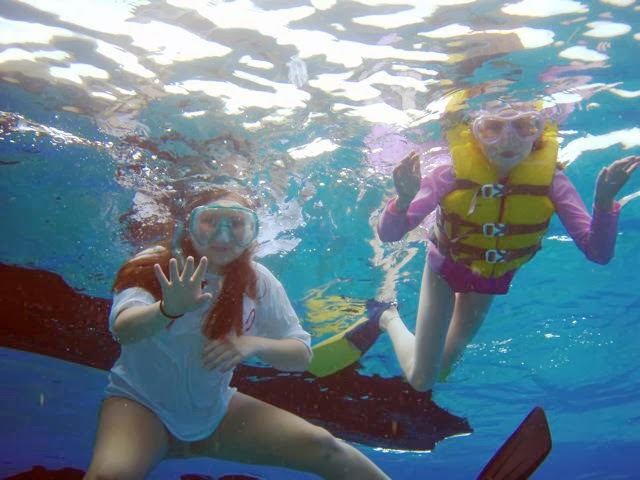 The snorkelling was spectacular the sails were exciting, and above all, the company with Lynn and Mark seeing to our every need made this a wonderful week. Sadly now back to Philadelphia... cold and dreary as it is this time of year but with warm memories with new friends in Mark & Lynn to keep the memories alive. See you again." "Many thanks for a wonderful trip & celebration of Charles 70th. We loved all aspects & TLC you both provided. The boat is exactly what we'd hoped for & we are delighted to have found you. 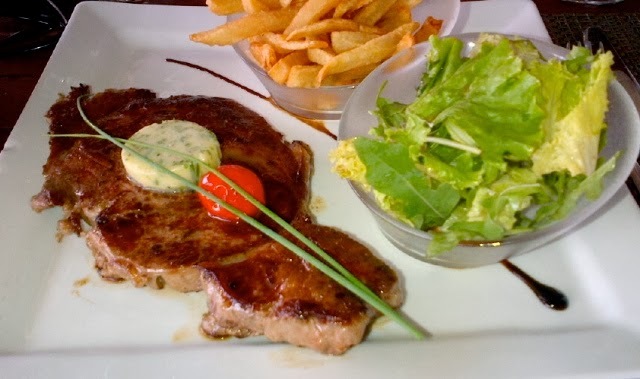 The food was incredible, your detailed knowledge of all the best spots was invaluable & appreciated by all. 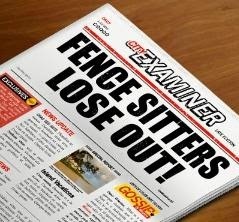 This has been a great success - many thanks!" Don't you deserve a bit of pampering and some fun in the sun? We know many charter yachts will be raising their rates on 1st May 2015. Also, if you're thinking about chartering for New Years contact us NOW especially if you are a group of more than six. There is still good availability for Christmas but that will fill up quickly once people have to shift their plans from New Years. Here's something a little different and COOL! Charter the yacht Aurelius in the Baltic Sea this summer (Sweden, Denmark, Norway). 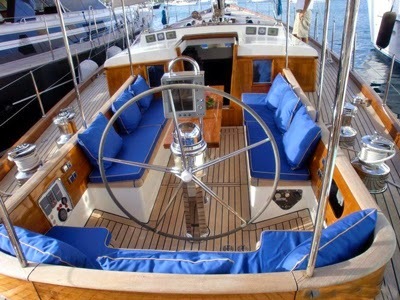 The luxury sailing yacht Aurelius is a lovely 76-foot modern classic sail boat with beautiful woodwork and a fantastic professional and friendly crew. She is characterized by style, sailing performance and luxurious comfort capable of delivering a pleasant sailing experience. She features superb open plan accommodation and offers a warm relaxed ambience, making Aurelius a real home away from home. 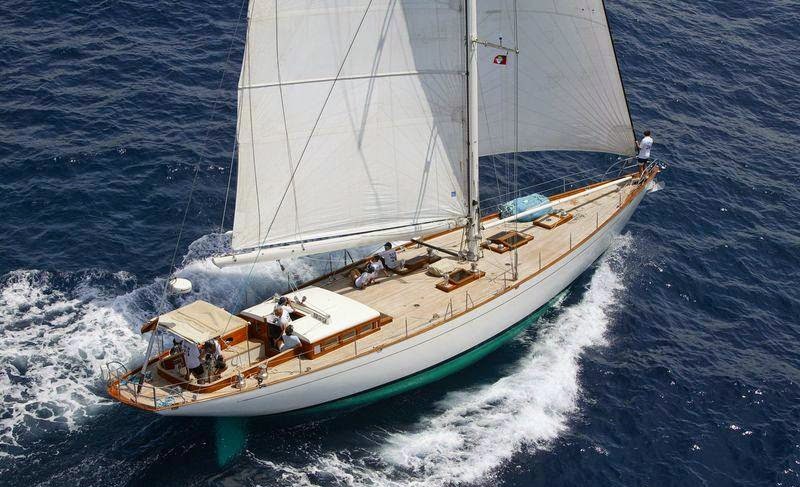 WINTER 2014-15: Aurelius will complete her Caribbean season by participating in the Antigua Classic Yacht Regatta. The yacht is offering a 10% discount for new bookings for charters taking place by May 21, 2015. SUMMER 2015: From the Caribbean, she sails to Stockholm in Sweden to spend the endless summer nights in the Swedish Archipelago and the fjords of Norway with stops in Sandhamn, Gotland, Gothenburg, Malmo, and Copenhagen in between.